Summer 2017 in Tel-Aviv – Where To Go? What To Do? If there is one thing Tel-Aviv is known for, it is the endless sea of beautiful people. The sun laden culture puts an emphasis on taking care of yourself, including tanning, eating well, and exercising often. This, combined with a culture of tolerance, makes it the perfect location for Pride events to take place. 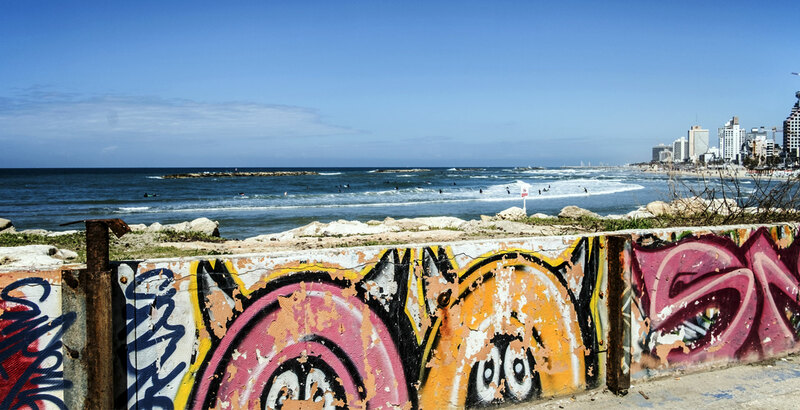 Tel-Aviv is a city filled not only with beautiful people, but it is also filled with open minded individuals and tourists from all over the world. It is a modern-day melting pot. While Pride events do take place in dozens of countries around the world, we believe that there is no better place to hold these events than Tel-Aviv for the reasons above. Tel-Aviv Pride Week 2017 will take place this summer from June 4th to June 10th. We are going to cover the events that you must not miss this year, both the classic parade and the fabulous beach party. Make sure to read until the end so you don’t miss out on all of the fun. Pride Week events will have you out of the closet and slamming the door behind you! The Pride Parade is the flagship event of any pride week. Each year has a different theme. For the 2017 Parade, the theme is bisexuality. They will be celebrating its inclusion into the LGBTQ culture. Starting at 10 in the morning, a fair will be held at Me’Ir Park. This is not just any fair, but an extravagant and loud event that you need to see to believe. Starting from the fair at 1 PM, the parade will begin. Fabulous floats and people on foot will traverse the streets of Tel-Aviv through a set path. Along the way, the parade will pass through Trumpeldor, Allenby, Ha’rav Cook, Ezra Ha’Sofer, and finally end at the Charles Clore beach around 3 PM. At the beach, you can experience the famous Pride Beach Party. If you don’t get up early enough to catch the main parade, don’t worry, you can catch the world renowned Tel-Aviv Pride Beach Party later in the afternoon. Located at Charles Clore beach in the city, the beach party is not an event to be missed. Make sure to bring sun protection lotion because this party is going to be hot! Come to the sandy shores to enjoy a wide variety of food, bars, and live performances. If you are not into the party scene, make sure to drop by to take a look at the beautiful people and ocean waters that Tel-Aviv is famous for. Don’t forget to get your all-access party bracelets which allow you entrance to every event. In addition, be sure to book accommodations for lodging ahead of time. We suggest staying at the fabulous Florentin House in the Florentin Neighborhood (also known as the Florentine Neighborhood, with an e) in Tel-Aviv. Along with fantastic sleeping quarters, you will be able to experience divine cuisine from one of Israel’s finest chefs at its in-house restaurant. Don’t wait! Tel-Aviv’s Gay Pride Week is just around the corner. Both party bracelets and accommodations are likely to fill up fast!